Del Toro still has hopes for his Mountains of Madness adaptation. 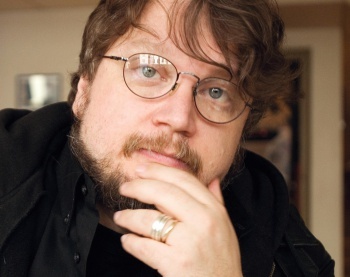 If you were hoping Guillermo Del Toro - the man behind Pan's Labyrinth and Hellboy - was going to direct the next Star Wars movies, you're about to be disappointed. Though the Mexican director admits he was approached, he turned the chance down. "It was very flattering," said Del Toro. "It was just a phone call, it didn't go past that, it was very nice to be asked, but believe it or not, I'm busy enough." Plus, Del Toro is on record as only really liking monsters - "I like the weird ones, frankly," he said in a Playlist interview - and while Star Wars has its share of monsters, few of them tend to be protagonists. As for monsters, Del Toro still holds out some hope for his Mountains of Madness adaptation, which has stalled up till now. "Once more into the dark abyss," Del Toro says. "We're gonna do a big presentation of the project again at the start of the year and see if any [studio's] interested." So we should be hearing more about that any day now, but it probably isn't a good idea to get your hopes up. When it dropped dead last time, it was the R rating that killed it, and - so far at least - Del Toro hasn't given any indication he's willing to budge, either on rating or the $150 million budget.